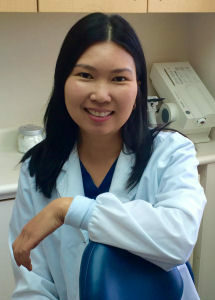 Dr. Phung (known to her patients as Dr. Quynh) grew up in Falls Church, Virginia. She attended the University of Virginia, where she graduated with a B.S. degree in Biochemistry. She received her Doctor of Dental Medicine degree from Temple University in Philadelphia. She currently holds a dental license in Virginia and Florida. In her spare time, she enjoys playing tennis, working out, and spending time with her family.